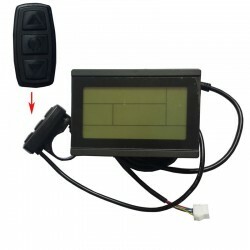 72V S-LCD3 E-Bike LCD Meter for S Series Controllers. 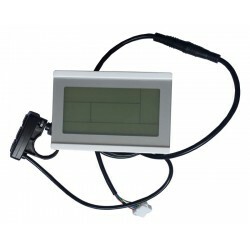 S-LCD3 E-Bike LCD Meter for S Series Controllers. It only fits S series controllers. It is not suitable for other controllers. 2. Voltage: fits for 72V batteries. Note: How to determine the value of the parameter P5 ? The formula is LVC+P5/3.77. For 24V battery, LVC=20V, P5/3.77=1. For 36V battery, LVC=30V, P5/3.77=1.5. For 48V battery, LVC=40V, P5/3.77=2. You can adjust P5 parameter by your own battery discharge curve. It is a smart LCD. You can not test it by only voltage. You need to install it on your E-Bike and pedal for 3-5 seconds. Then the LCD will show battery level normally.